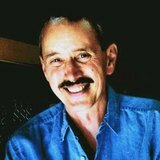 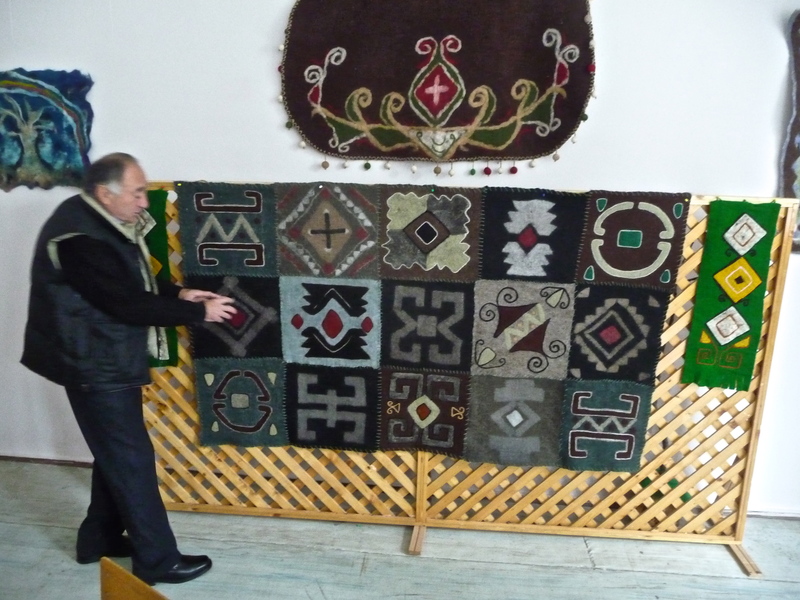 Artist Michael Rohde, whose hand woven fiber works were selected for the Art in Embassies exhibition at U.S. 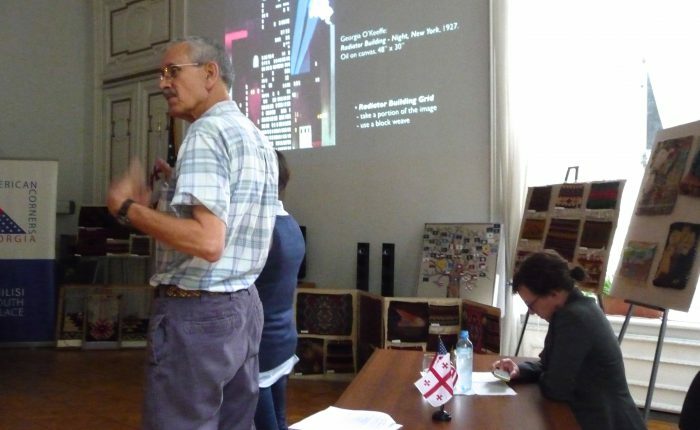 Ambassador Norland’s residence in Tbilisi, traveled to Georgia to conduct an Artist Exchange in October of 2014. 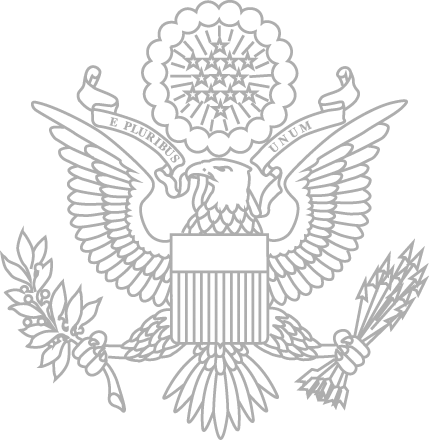 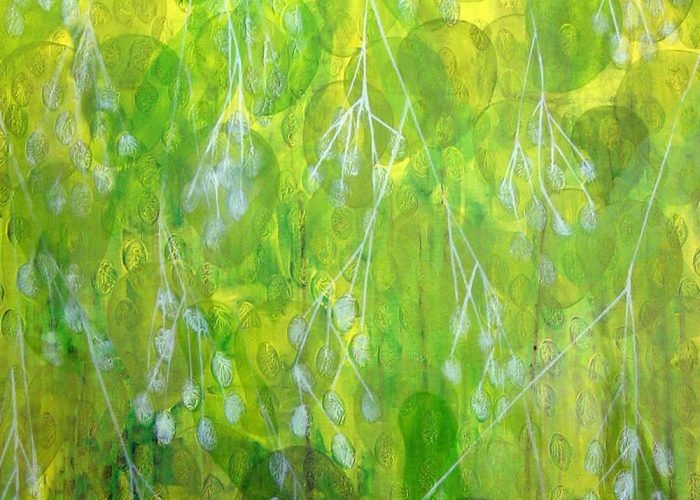 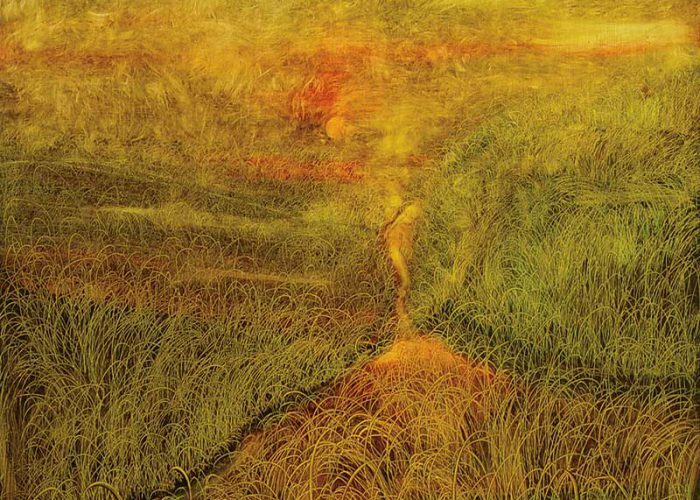 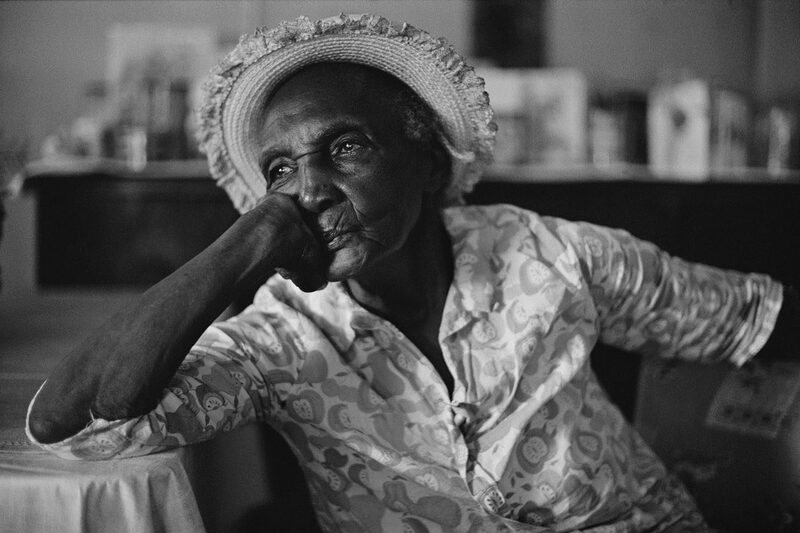 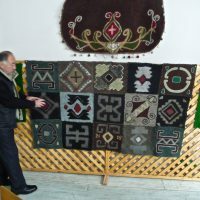 In addition to having his work exhibited at the U.S. Ambassador’s residence and local art institutions, Rohde’s work has been displayed in museums such as the Chicago Art Institute and the Textile Museum in Washington, D.C. On the first day of the exchange, after a very long flight, the artist met with the Public Affairs Officer to discuss the upcoming program activities for that day, including a visit to the Shalva Amrianashvili Art Museum, where Rohde visited the collection and met with local textile artists. 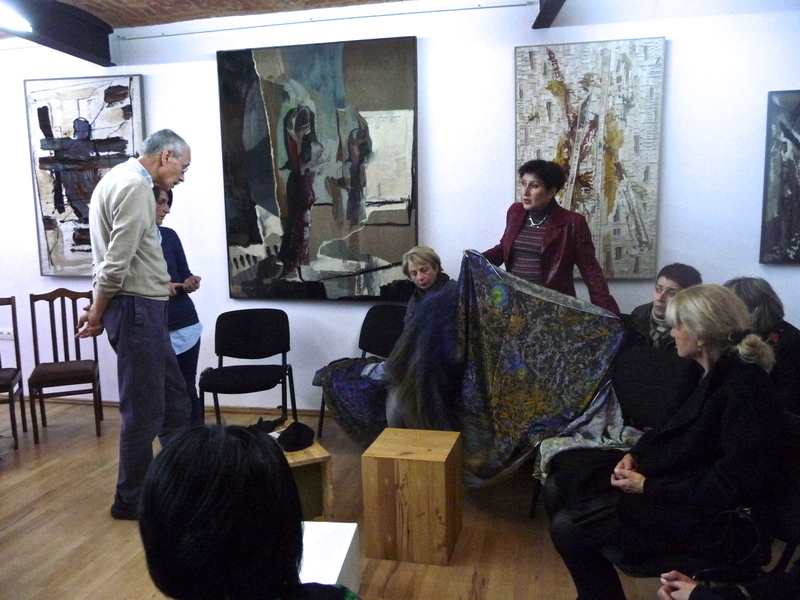 That same afternoon he visited the Folk and Applied Art Museum and Maison Blue for a workshop. 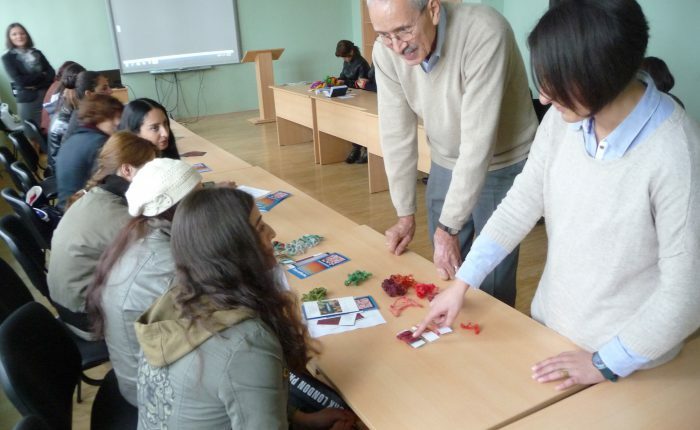 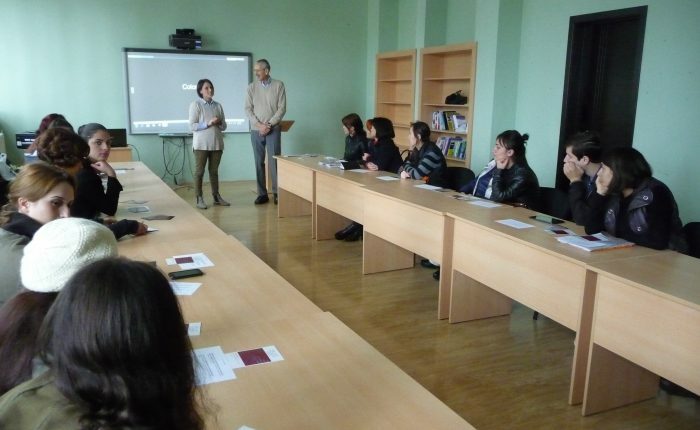 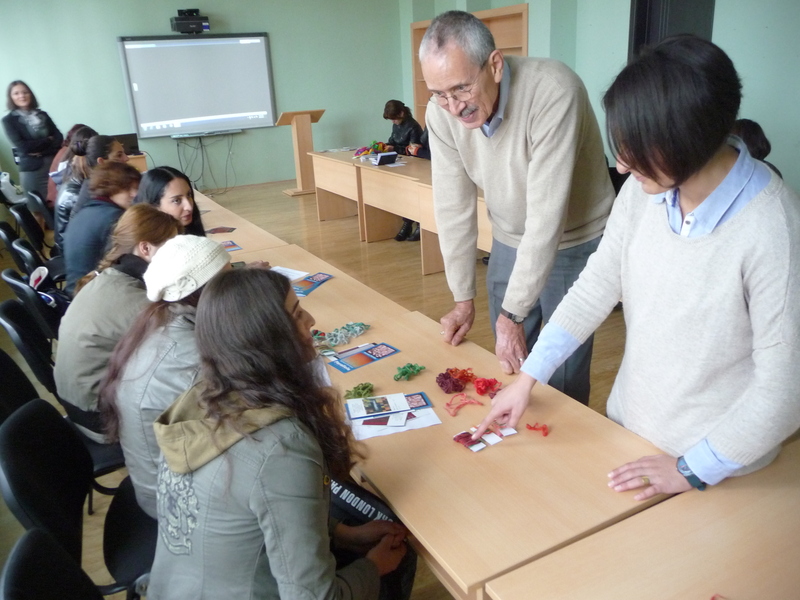 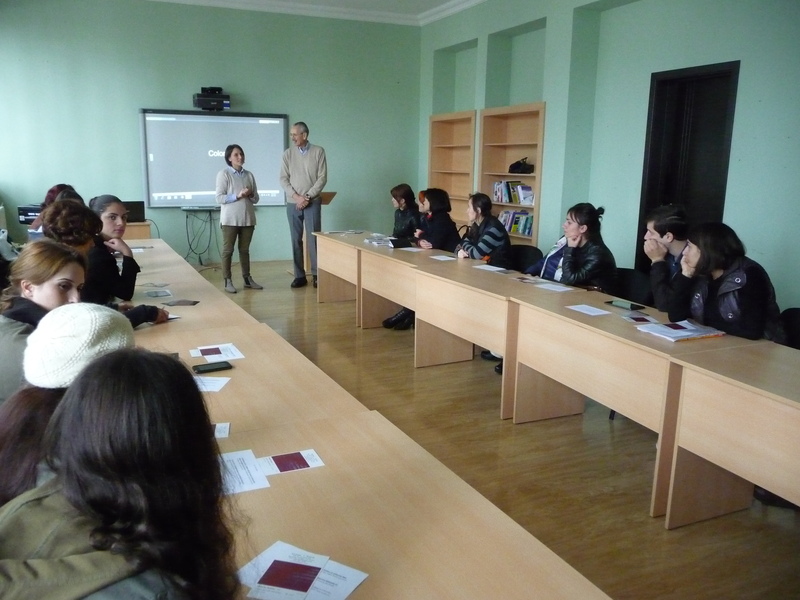 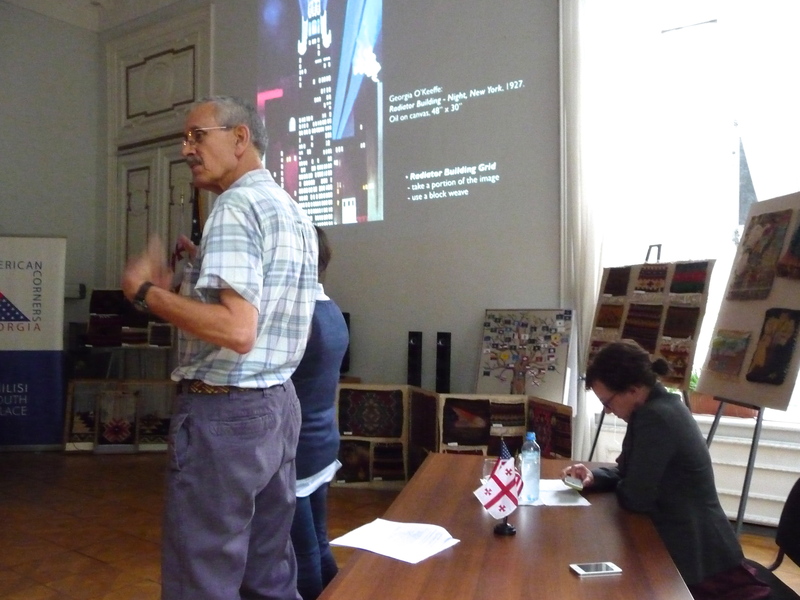 On October 9th, the artist and the embassy’s public affairs team traveled to the city of Telavi, in the Kakheti region in Eastern Georgia, where he presented his Color Seminar Description lecture at the Telavi State University. 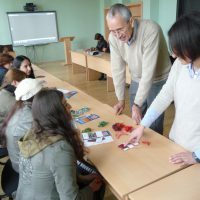 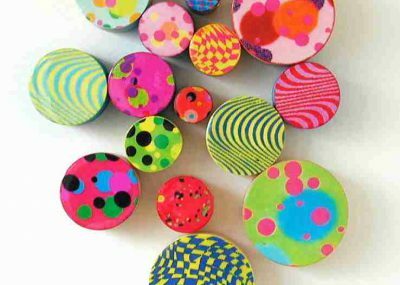 After the conclusion of the lecture, Rohde followed up with a demonstration for the students of the university on color theory. 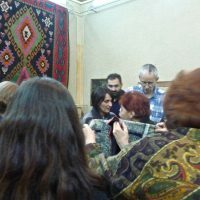 After his trip to Telavi, Rohde returned to Tbilisi. 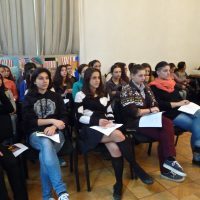 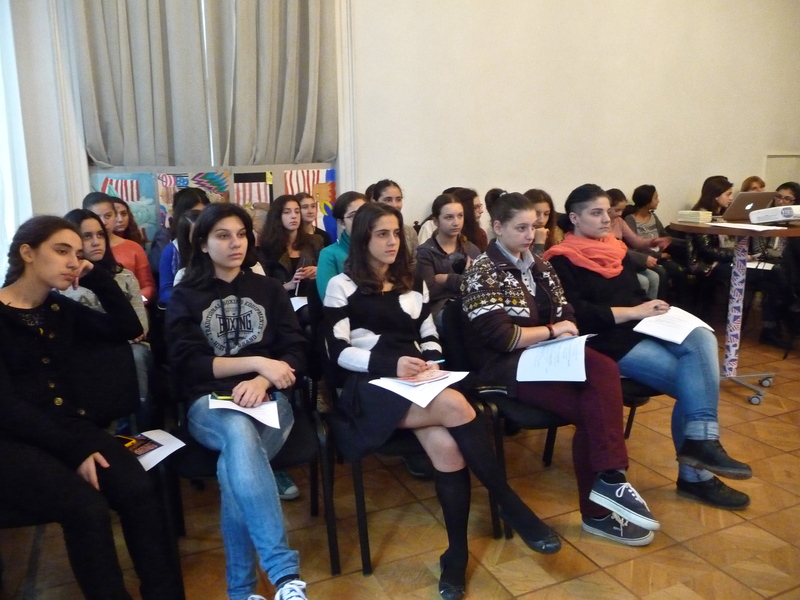 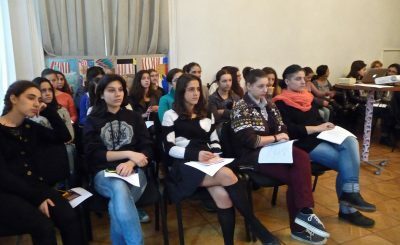 On Thursday, all activities took place back in Tbilisi. 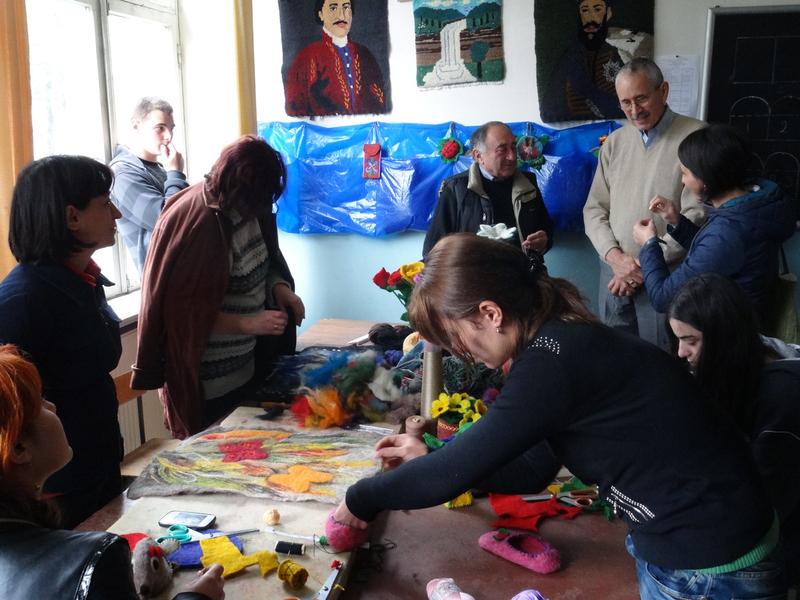 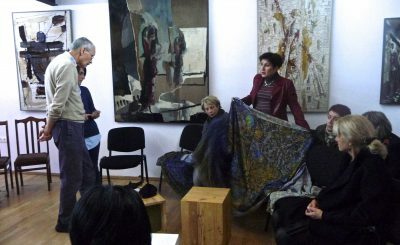 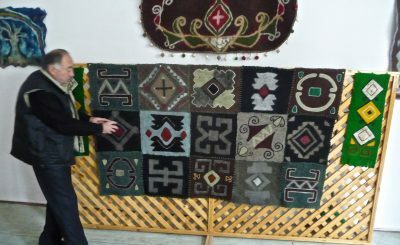 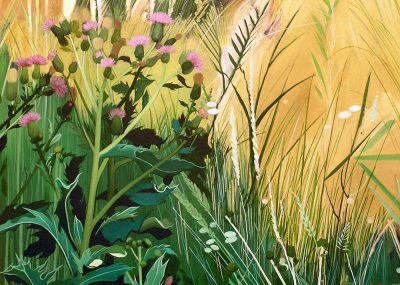 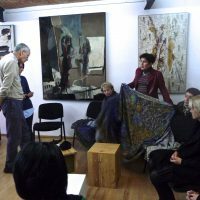 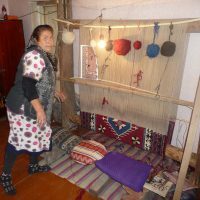 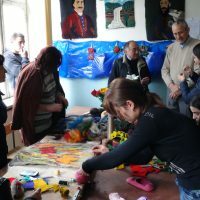 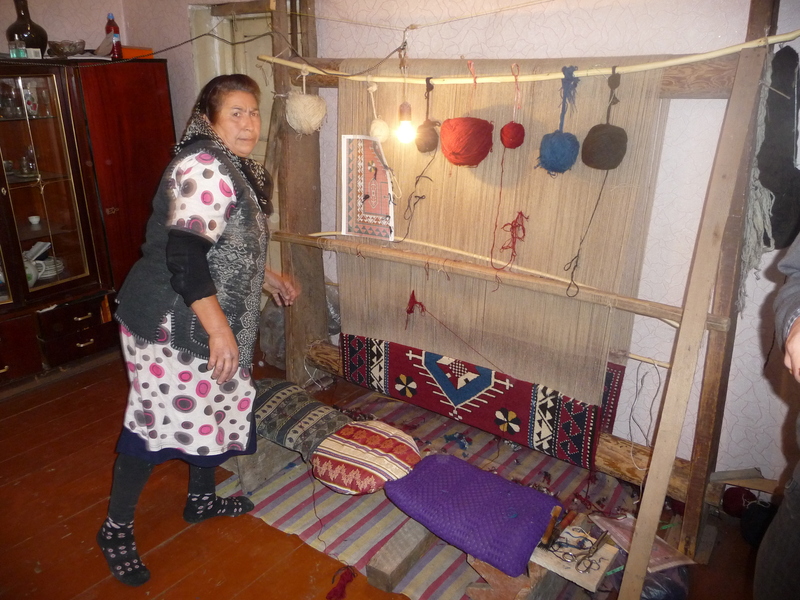 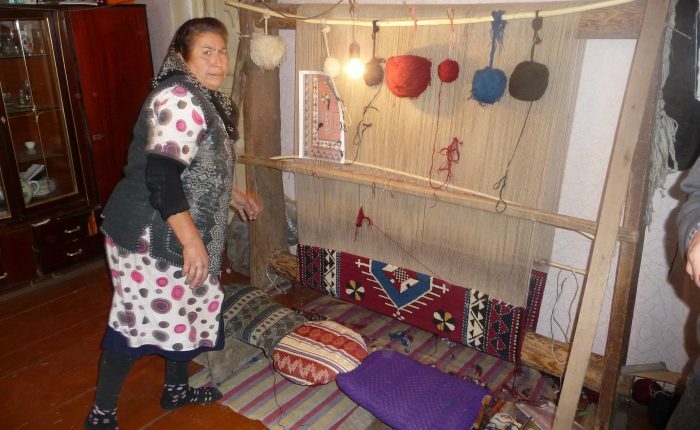 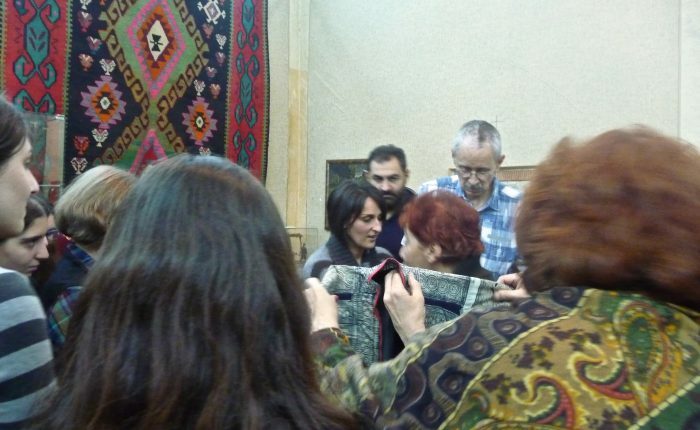 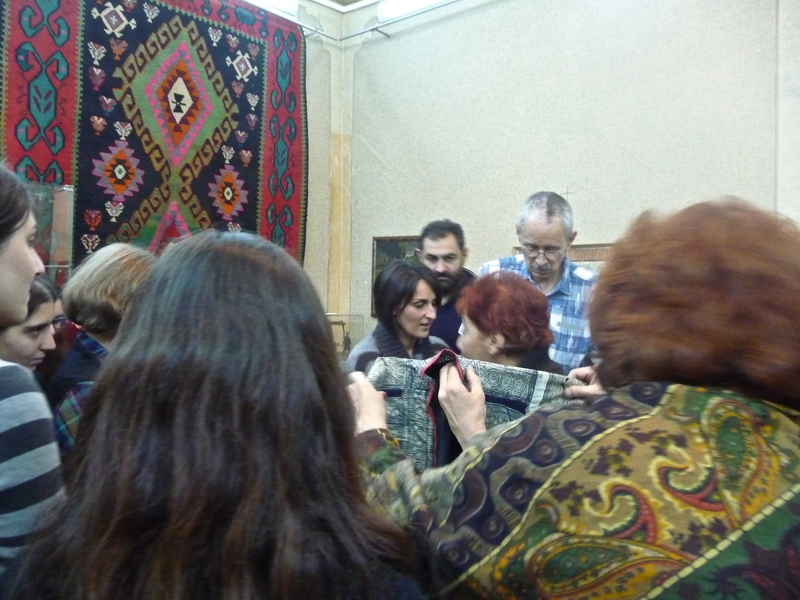 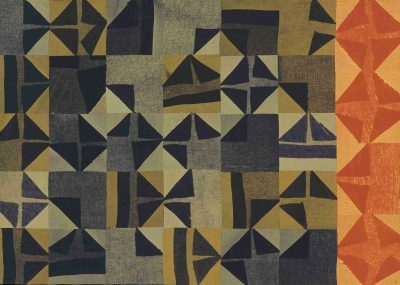 In the afternoon the artist repeated his presentation to an audience of textile artists at the Folk and Applied Art Museum, followed by a lecture at the Tbilisi American Corner: Setting Limits as a Stimulus to Creativity. 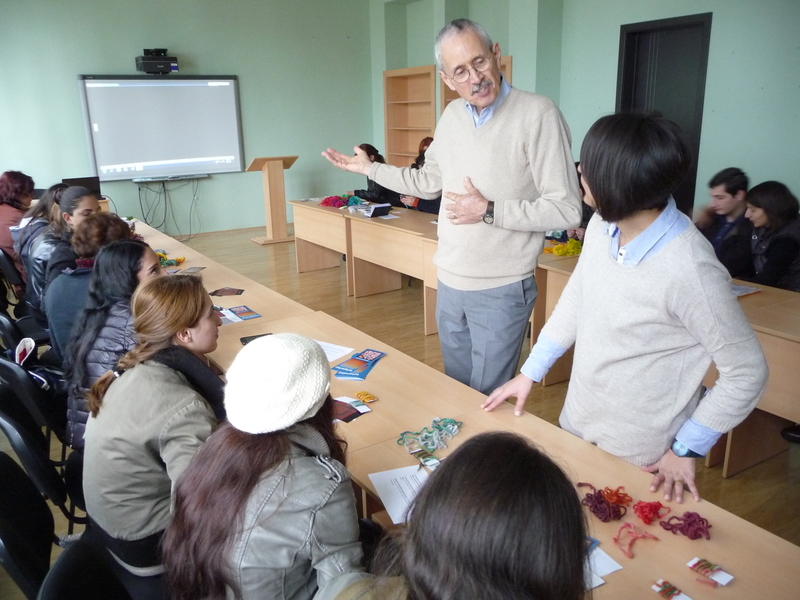 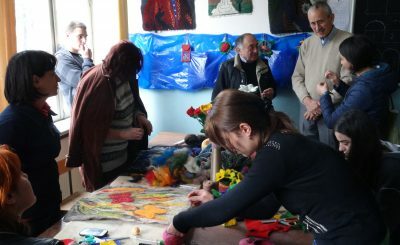 “This was one of my most memorable experiences… there was a high level of interest in the physical materials, I was able to bring for everyone to see – presentations on screens are one level of experiences, but seeing and handling physical pieces are much more exciting and educational.” On Friday, Rhodes traveled to the Kosalari Village, where he visited with Azeri women involved in the revival of traditional rug-making. 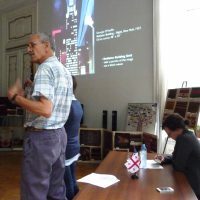 Later that day, Rohde met with Georgian artists at the Shardeni Gallery to present his last lecture of the exchange: Miao Lecture.